Brush Wizard: Super Dungeon Explore: Forgotten King Currently on Kickstarter! Super Dungeon Explore: Forgotten King Currently on Kickstarter! Soda Pop has their latest expansion/revamp of Super Dungeon Explore running on Kickstarter right now. The new expansion, Forgotten King, brings out new heroes, monsters, bosses and dungeon tiles! 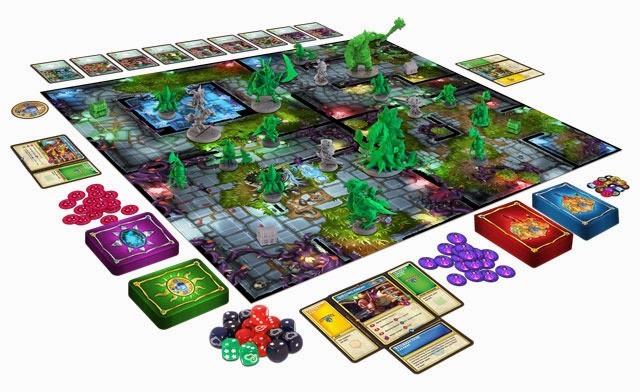 Super Dungeon Explore: Forgotten King is both an expansion to the original SDE game, while also being a revamp of the rules and it's own standalone edition.This Kickstarter is kind of a big deal. The set is going to take the original rules of SDE and spruce them up a bit, and it's said that the Loot-O-Meter and Dungeon Tracker are no longer needed for play. The goal is to streamline the rules and make game play faster, while keeping the action on the board itself. So far we haven't seen what these changes bring to the table, but Deke has stated that they will be previewing everything during the duration of the campaign. The rules update isn't the only thing going on with this box. Soda Pop announced an all new fully co-op game titled Arcade Mode. In this mode the dungeon will run off of the new Arcade and Explore Decks. This means there will be no need for a player to run the Dark Consul, and everyone can play together. I'm excited for this idea, especially since it's already hard to get a big enough group together to play a full game of SDE or World of Warcraft TCG raid decks. Not needing to have a player for Dark Consul is huge for my group. Couple these two game modes with the new Arena rules Soda Pop released on their website, Super Dungeon Explore is growing by leaps and bounds, gameplay wise. This Kickstarter campaign only has one pledge level, which is strange to me. But it seems to be working. the Always Super! 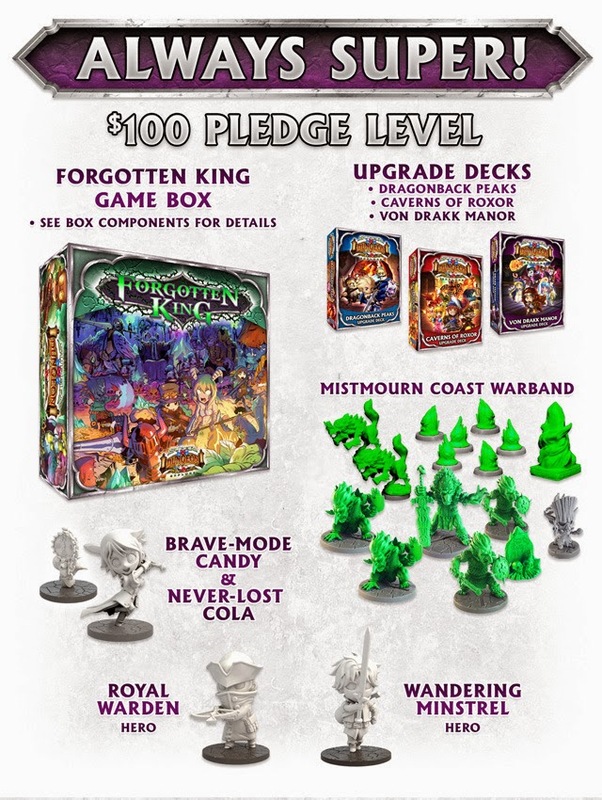 pledge is a $100 pledge that nets you the new game and all the stuff that comes in the box (see box contents image), a new Candy hero, the Mistmourn Warband trolls and upgrade decks for everything released prior to Forgotten King (fully redone cards with current errata). Plus over the course of the campaign you'll get any free Loot items that are unlocked. As of this post, we've unlocked 2 new heroes, a new Cola pet for Brave-Mode Candy, 6 pets for your other heroes (including an adorable dragonling), a new Salt Crystal spawn point. And we are close to reaching another goal for free acrylic Potion tokens! Plus like any Kickstarter they have added a bunch of new paid upgrades to the list of options. So far these include extras of things included in the Always Super! pledge, 3 new heroes, extra rabid squirrel creeps, more dice and the all new colored slimes! but the best part? Soda Pop has stated that they will not have any Kickstarter Exclusive items and that everything funded during the campaign will be available for retail, which is awesome. They've even said that the Relic Knights SDE crossover figures will be available in their store after the RK pledges are fulfilled. Some folks are up in arms about that, but as a guy that pledged for them I can honestly say that I'm glad. I want everyone that played SDE to be able to get the most out of the game and having limited editions make it feel like you don't have all the options on the table. 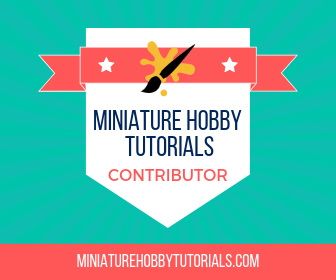 Soda Pop Miniatures is running this campaign on their own, without the help of long time publisher CoolMiniOrNot. I'm not going to speculate on the details or anything, but I do have a feeling it was partly because of the Relic Knights campaign. Either way, I've always been a big fan of Super Dungeon Explore and haven't been this hyped for a Kickstarter since the Reaper Bones campaign. Currently, as of this writing, Soda Pop has raised $316,353 and have easily surpassed their $75,000 goal. This means we will see the Forgotten King published, but with 25 days to go and more stretch goals to hit the game will only get bigger. From what we've seen so far, there has been minimal concept art and most everything looks to be ready for production. Hopfully that means that we won't see another Relic Knights debacle. Soda Pop says they've learned a lot from previous KS campaigns, and I'm inclined to believe them. Plus it's SDE, I can't pass up on SDE.